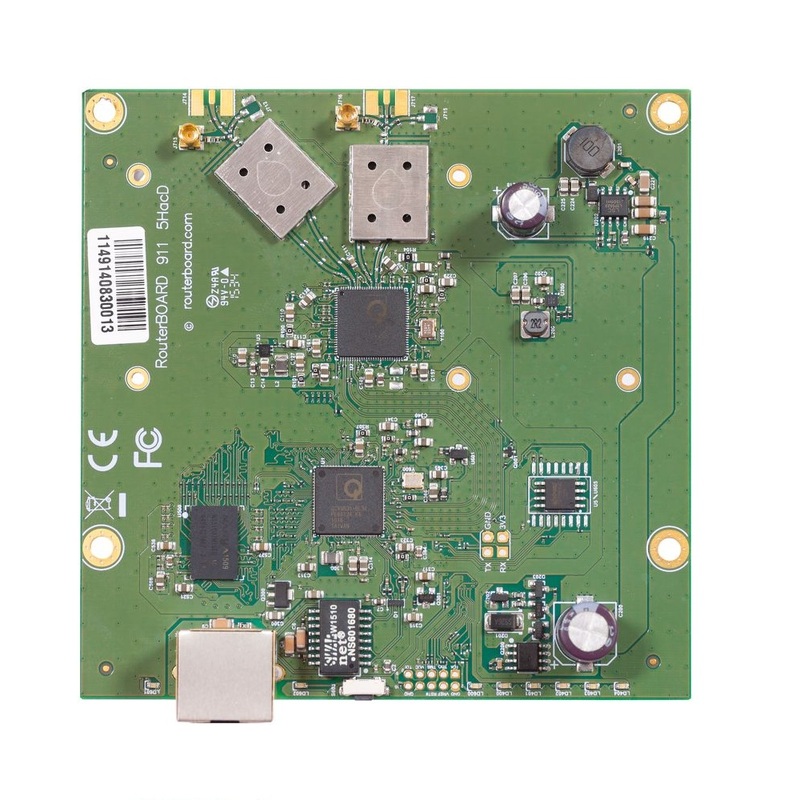 It’s a small CPE type RouterBOARD wireless router with an integrated 5Ghz dual-chain wireless card, now with added 802.11ac support. It’s equipped with powerful 650MHz CPU and 64MB, great for building custom 5Ghz CPE or Backhaul units. Unit is equipped with 10/100Mbps Ethernet port.